Series No. 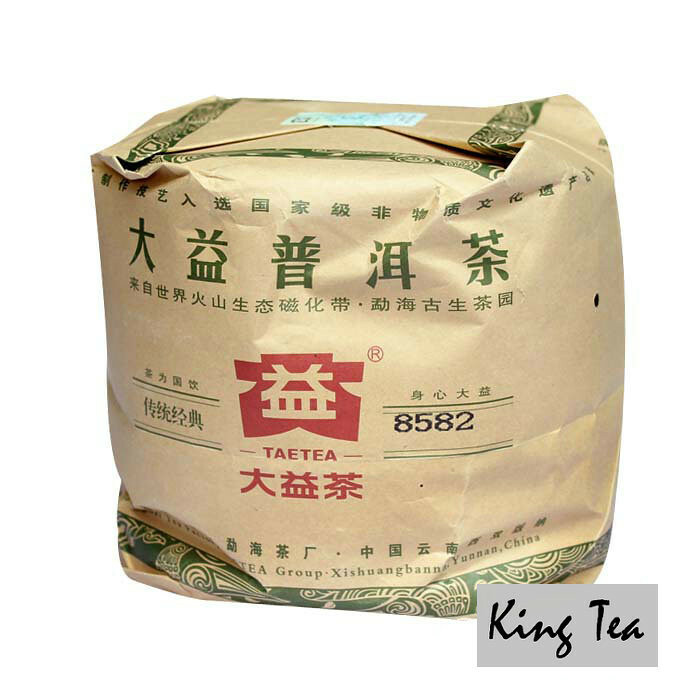 and product name “8582” means recipe was created in 1985 year points to first “85” in the Mark Number, the next “8” means 8th grades tea materials mainly used in this recipe. 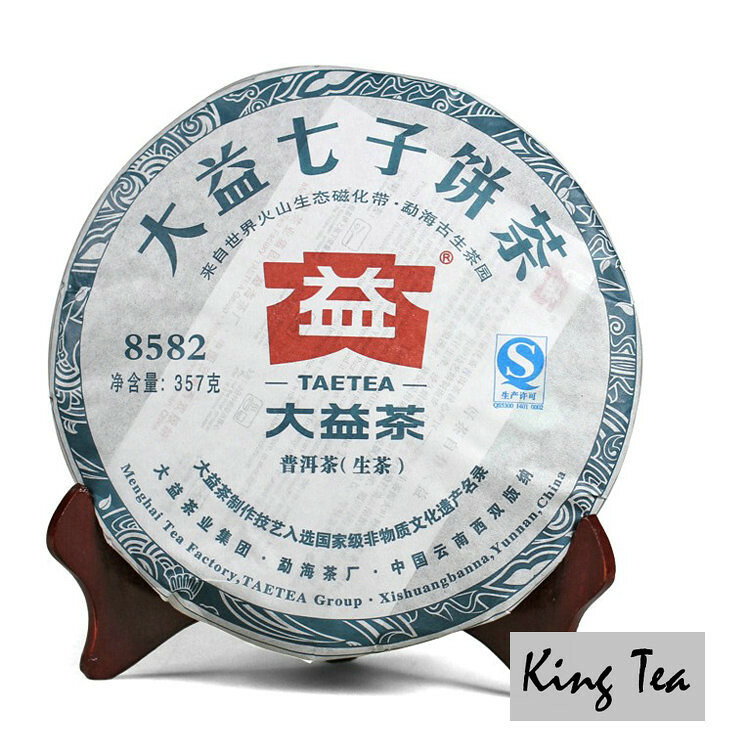 The grade of tea material includes 10 levels defined by the roughness from the most young and tiny bud of “Royal”(宫gong廷ting) to the most rough material consists of pure stem by “九jiu级ji”. The last “2” means Menghai tea factory which had been listed as No.2 during 4 big national tea factories in YunNan province from being nationalized by PRC till 21st century. 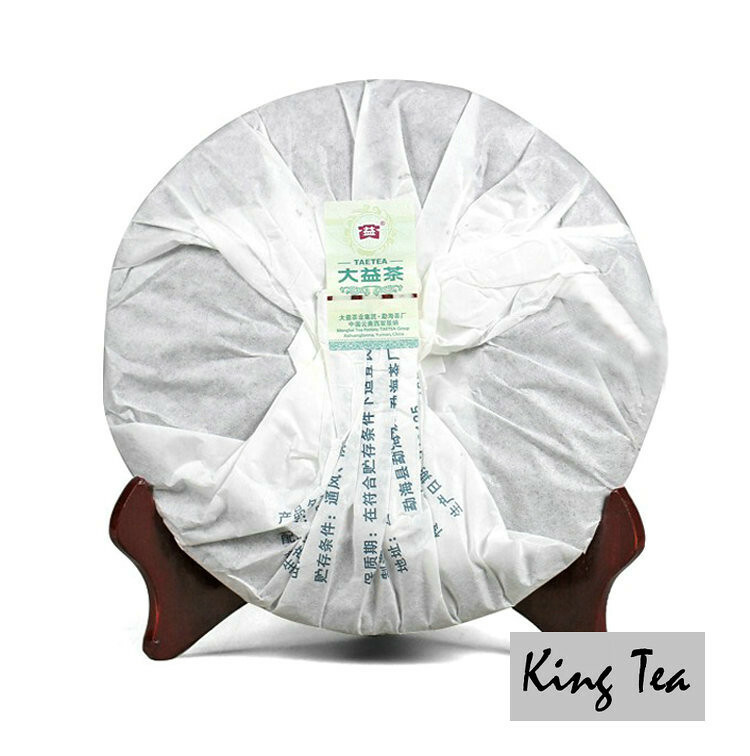 Sheng cha which will continuously ferment by complicate chemical reaction of Oxygen, Microbes, Enzyme and other substances contained in tea leaf. And this process is called natural fermentation or evolution which will get better effect under ideal storage condition of humidity around 75% and temperature near 20-25 Celsius with airflow and should be hidden from sun light. Guangzhou city stored till now. Clean and dry.